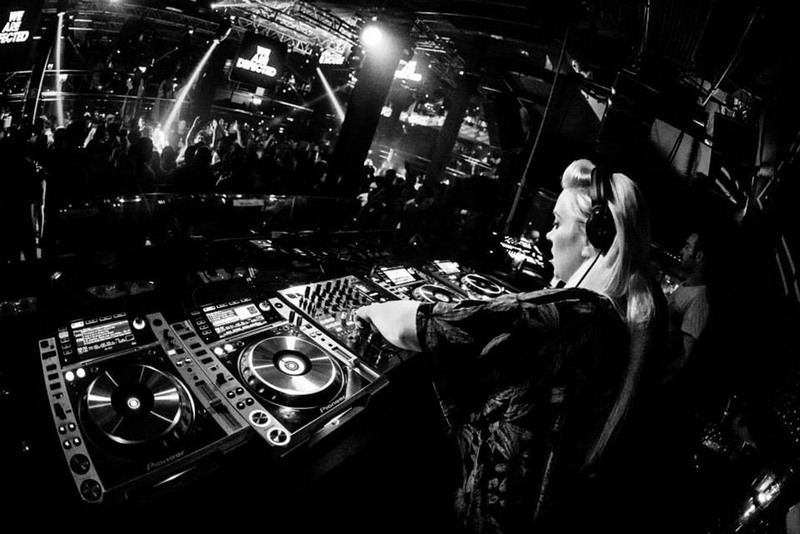 This interview with Sam Divine was held at the end of the 2014 season. It appeared in the Ibizan newspaper and e-issue at the time, but has not been previously published online. We thought it deserved an airing, and what better time than on the announcement of the Defected 2018 season line up at Eden. Sam has always been the local Ms Defected of Ibiza, and will be undoubtedly playing a bit part in the coming year. And what a year it looks to be, from the Defected royalty of Roger Sanchez through to Ibiza born and bred Manu Gonzalez, and all overseen with the paternal eye of Simon Dunmore, plus of course Sam Divine as a roster regular. Defected at Eden 2017 was a big success, 2018 looks better yet. See the foot of this article for the full 2018 Defected story. Defected have a pretty special place in my heart. For several years, whatever they released made its way into my weekly play selection at our local record store, and a good percentage then made it to the till. This included some all time faves, both in the tunes themselves and some memorable clubbing associations – the nightlife section of the newspaper is named after the Shapeshifters classic defected track ‘At Night’ and a particularly good night at El Divino listening to them twist the tune all over the shop as the sun came up over the Marina. Sadly, and probably top of my 2014 ‘Ibiza regrets I didn’t make it list’, I didn’t get to either Defected in the House, or Glitterbox nights that have both been a big success at Boom. I might have made it to last night’s closing, but instead interviewed their resident Sam Divine prior to her weekly Savannah pre-party appearance, then came back to the office to type it up. That doesn’t make sense somehow. Perhaps I should’ve left this page blank and gone for a boogie. NG: Defected describe you as a “guaranteed floor-filler and party starter”. Do you like that description? SD: I do like that, I think that’s pretty true. It’s nice to be the resident at Booom, It’s nice to dig deep and play those records you wouldn’t normally in your peak time set, I get to set the tone for the evening, yeah I like playing warm up. What do I get when I come to see Sam Divine? SD: For me it’s a feeling and a vibe. Back in the day you could take people on a journey but it’s not that so much now as you’ve only got 2 hours to do it. I try and cram all the best records I’ve got into the set. I’m happy to say I’m a party DJ. I’m not underground, not commercial, straight down the middle. A lot of my stuff is very vocal, people can sing along to it, it get’s the girls dancing. I’m really happy when I’m playing. What’s not to be happy about when you are playing records you love? Tell us a little about Defected. Simon must be one of the industry’s more hands on bosses. SD: It’s a dream come true. My first house record was a defected vinyl, Barbara Tucker, Precious Love. I fell in love with it and that took me into Defected as a label. I did 5 seasons in San An in Hush and every Tuesday was my night off, luckily the same night Defected were playing Pacha. I was introduced to Simon who flew me back to London to play Ministry of Sound and the following Monday I was signed to the artist roster as their first female DJ. Simon is one of the hardest working people I know. He is my mentor. He has given me the confidence to play for myself, be myself. The only two people I take advice from are my Dad and my Boss. You played Mambo for several years warming up for Frankie Knuckles amongst others. SD: That was really special. Frankie asked my agent in London if I could do the warm ups for him. That is something I will take to my grave. Frankie always said to play with your heart on your sleeve, to play the music you love and not worry about anybody else. I get that you have to play to the crowd, but when you play with so much love and passion you cant go wrong. Frankie was such a wise guy. We had a really cool relationship. No1 house legend! Are there any DJs you want to play with but haven’t yet? SD: Kerri Chandler. We’re really good friends. I’ve played with so many I’ve admired but I’d love to play with Kerri. Tell us about your Ibiza Journey. SD: I first came here on holiday in 2001. I was in Eden every single night. I loved it. I was more into harder stuff, trance, back then. I did my first season in 2005. Here (Savannah Backroom), Hush, most of the West End bars and often for free or drinks. I got the residency at Hush in 2006, which you could say is when I went pro, and it gave me so much experience. I learnt how to keep the dance floor, spotting if somebody was about to finish their drink so to play a classic to keep them in. I had it rocking from 10 to 6, 6 nights a week. So in total 5 full seasons then for the last 5 I’ve been flying backwards and forwards every week. You talk a lot about warm ups. SD: Don’t get me wrong I love the headline peak slots I’m playing every week, but Ibiza has been more about warm ups and I love it. It gives me the chance to play the deep soulful house I love, it’s not about smashing it out, it’s about setting the tone for the DJs to come on later and do their thing. What do you like to do in your Ibiza downtime? SD: I love going to Es Vedra and Formentera, going out on boats with my friends. On my nights off I love going to restaurants. Just relaxing really. On the nights I’m playing I like to party—after I’ve finished my set of course, another great reason for playing the warm up, I’ve finished early so can get out on the dance floor and enjoy myself. Where did the idea for La Vita come from? SD: My Nan had breast cancer. I wanted to do something that was totally about giving something back. We have an annual party and we’ve raised over £30,000. I’m an ambassador for the breast cancer research charity now too. SD: It’s just busy, busy, busy. I’m pretty well booked up right through the year! This is Ibiza ~ Finally a Documentary to be Proud Of?